My family and I spent our 2013 Christmas on the beach. My parents had been invited to share with the couples at a church’s annual retreat, so we took advantage of the opportunity and made it a family vacation as well. 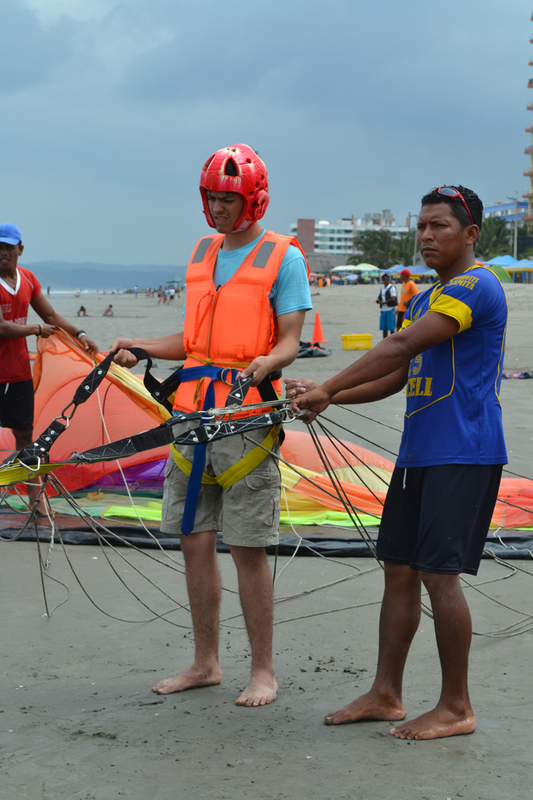 During our vacation, I got to do two very cool things at the beach: a parachute ride over the ocean, and a thing called “la gran bestia” (the great beast). The first was a hang gliding like parachute contraption connected to a motor boat. 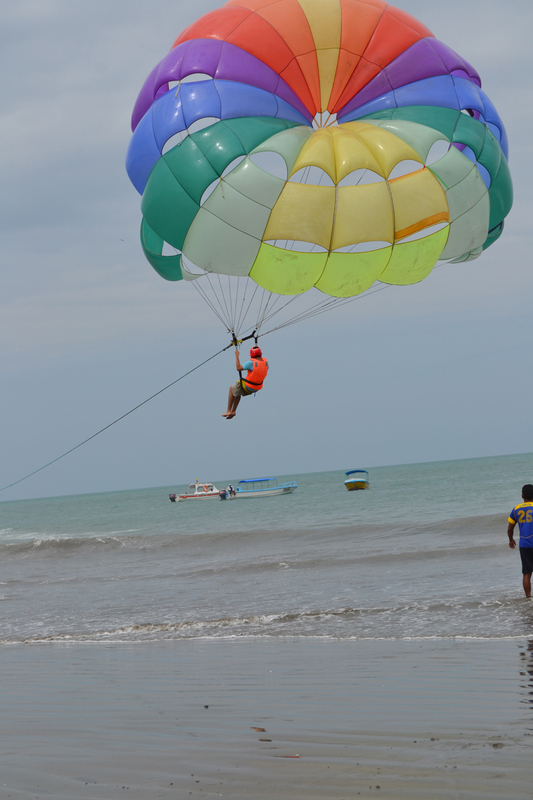 As the boat picks up speed, the parachute fills up with air and lifts you off the ground. 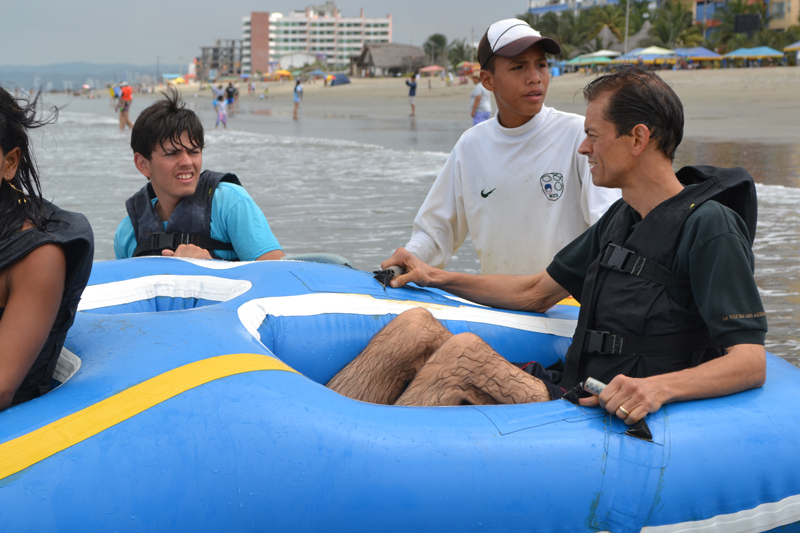 Once you’re airborne, they take you for a short ride along the beach so you can get a good view of the ocean. Hi, my name is Nathanael and I am finishing up my first year at Moody Bible Institute as an online student while I live with my family in Loja, Ecuador. I participate in two different youth groups and serve with a “Walk Through the Bible” ministry where we act out the events found in the Bible. I also enjoy helping out with an ESL ministry called “Spotlight” at a local christian café. I am looking forward to being an on campus student at Moody in Chicago in the fall of 2014. Ice cream truck music—few things in the world are more stirring. All around the world children run towards that sound, followed by grown ups reaching for change in their pockets as they plunge into the ponderous lake of reminiscence, and bathe their minds in fond childhood memories of partaking of that cool, refreshing treat they are now drawn to. The utilities and basic services commission in Loja city however, has harnessed that sound to accomplish an entirely different objective, giving it a most unique meaning. As the sun sets on the picturesque Andean landscape, the people of Loja take a moment, as a city, to gather their garbage to send it off to the dump. Yes, what to some is the joyous tidings of a delectable treat, is to a whole city the solidary call to the dreaded chore of gathering ones garbage and bestowing it to the garbage truck playing ice cream truck music—or is it garbage truck music? While taking physics as a junior in high school, I have found the dynamics of mass and energy as they work together under the laws of physics to be both fascinating and consuming. One interesting phenomenon I have learned of, is that of the mysterious equality in magnitude between the electric charge of an electron and that of a proton. To the best of physicist’s calculations electrons have an exactly equal, but opposite electric charge than that of the proton. The proton however is more than 1,800 times as massive as the electron. You may be saying “so what”. Well, it turns out that in nature, the general rule is that the more massive the object the greater the electric charge. So why this extraordinary phenomenon? Physicists to this day are unable to explain this exception to the rule, as it were, but what they do know is this: were this balance of equality between the electron and the proton to be broken by as little as one billionth of one percent, the resulting imbalance in electric charge in our bodies would be so great, that we would instantaneously explode. It now becomes starkly apparent the reason for this relationship, found in the atom, that defies the norm. It is truly only by God’s omnipotent power, and all encompassing grace and love that we are alive today. Our homeschool is in full swing. This year I am studying Algebra II, Chemistry, Latin and Greek. This summer I read “Eternity in their Hearts” by Don Richardson, A biography of george Mueller, and a book called Post Moderism 101. 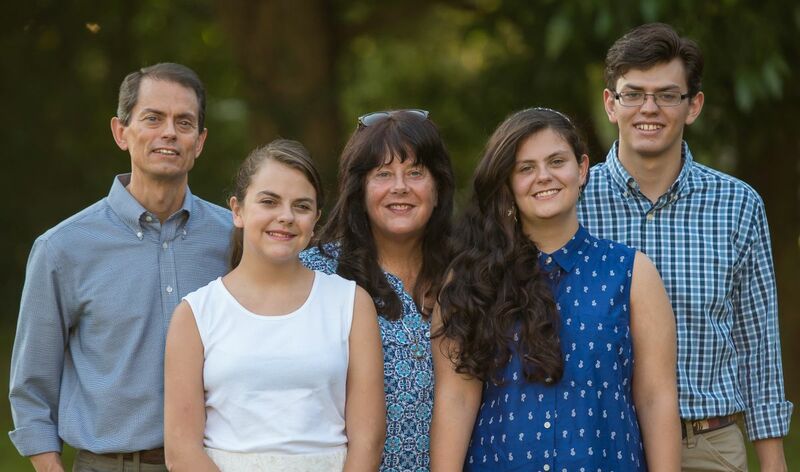 One highlight of the summer was going to Charlotte for missionary training with my family. We spent three weeks in classes, taking field trips, going to the pool and playing soccer. We closed out our trip with a visit to CAROWINDS theme park. How about that “INTIMIDATOR”???? ?